Dr. Narendra Jadhav, an Indian national (born in 1953) is a leading educationist, eminent economist & policy maker, well-known social scientist and best-selling author. Dr. Narendra Jadhav is currently serving as a Member, Planning Commission (in the rank and status of Union Minister of State). As Member, Planning Commission, Dr. Jadhav’s sectoral responsibilities include Education, Labour-Employment-Skill Development and Social Justice and Empowerment. In addition, Dr. Jadhav looks after the States of Bihar, Tamil Nadu, and Goa, besides the Union Territories of Diu-Daman and Dadra-Nagar Haveli. Served as Vice Chancellor (from August 24, 2006 to June 15, 2009) of University of Pune (UoP) – the largest traditional University in the world with 6,50,000 students. Served the Reserve Bank of India (RBI) for 31 years, taking voluntary retirement in October 2008, from the position of Principal Adviser and Chief Economist. An anthology of 151 poems translated into Marathi. An eclectic collection of Tagore’s writings (i.e., short stories, novels, plays, parodies, articles and speeches) translated into Marathi. Monetary Economics for India, (Macmillan Publications, New De1hi, 1994). Winner of All-India Publishers' Association Award. 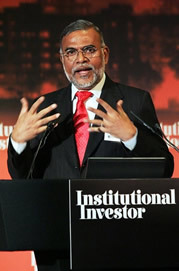 Dr Jadhav shot to fame with his biographical novel “Untouchables” written in English (Simon and Schuster, USA) – a runaway best seller with combined sales exceeding 6,00,000 copies, which has also been translated into 17 languages (French, Spanish, Korean, Thai ,as well as in most major Indian languages). The book has received several awards including the coveted Sahitya Akademi Award for its Punjabi Version. A celebrated public figure; recipient of as many as 63 national and international awards including four Honorary D. Lit Degrees and the title of the “Commander of the Order of Academic Palms” by the Government of France for his contribution to the fields of economics, education, literature, culture and social work.